We Expect This Event To Sell Out And There Will Be NO TICKET SALES AT THE DOOR. We still have some seating available but please let me know ASAP if you want to come. 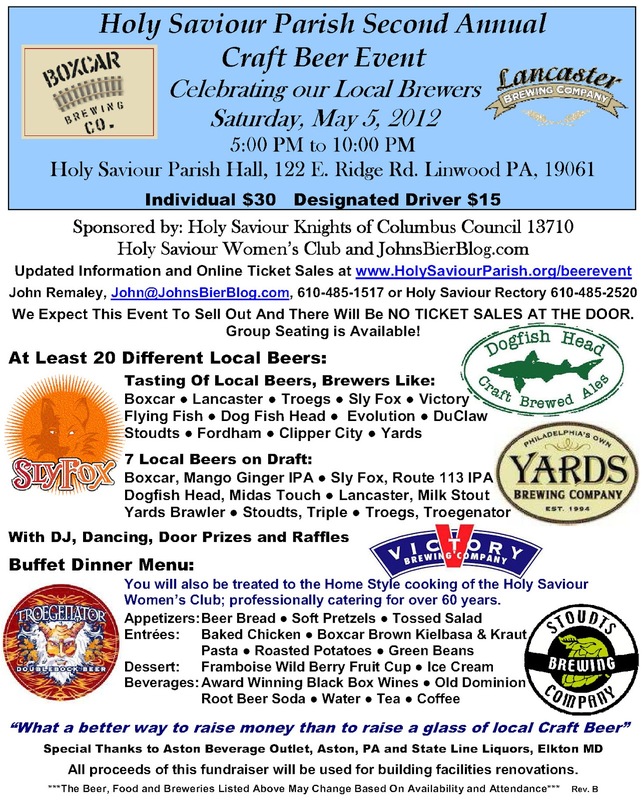 Two Hour Beer Tasting of at Least 16 Different Beers, Then 7 more Local Beers on Draft with a Full Buffet Dinner, Award Winning Black Box Wines and Old Dominion Root Beer On Draft. With a DJ, Dancing, Door Prizes, Raffles and more there will be a little something for everyone. 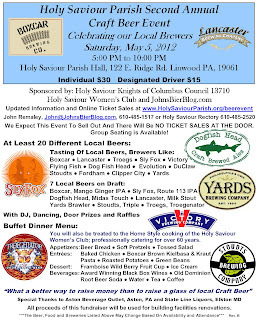 Here is the current flyer and below that is the beer list. Sly Fox Route 113 I.P.A.